What are the Best Search Firms in the NYC Area? 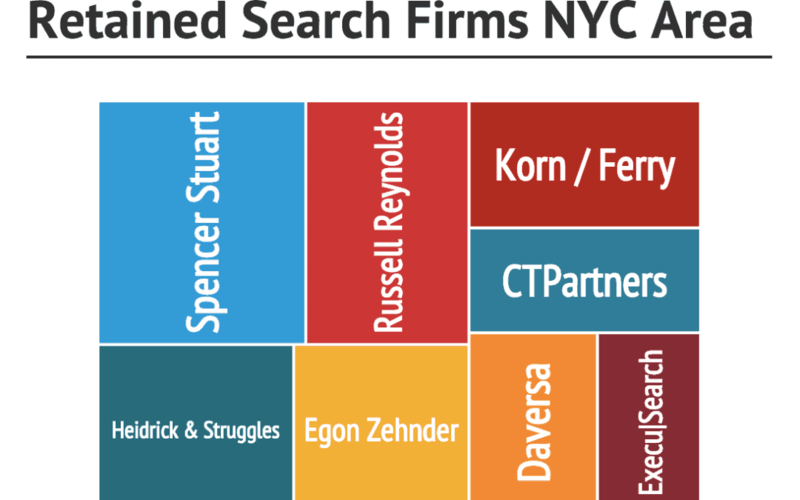 What are the Top NYC Search Firms? Every year, we at Intellarati meet with more than 100 buyers of executive search as does our retained search practice The Good Search.S ince we advocate for better executive search practices and make our feelings known (on this blog and elsewhere), we frequently get asked about the other search firms or competitors in the NYC region. Naturally, people want to know what are the best search firms in the New York City Area. The question is justified for a whole host of reasons. First, executive search is expensive. You could by luxury car — or in some cases. a house — with what you spend on an important senior executive search. Second, the failure rate is alarmingly high. On average, 40% of retained executive searches fail-to-complete. That’s nearly one in two, a percentage that includes the better firms. It isn’t always the search firm’s fault. Sometimes companies change their minds and decide not to back-fill a role. Sometimes hiring executives keep candidates waiting too long. Sometimes, companies fail to extend a competitive offer. Yet even when you back out those numbers, far too many executive searches hit the wall. If you use contingency firms, you’re not out money for the search. But there remains a significant cost of positions that languish unfilled — particularly at the senior executive level. A search that fails to fill an opening or a search that delivers a bad hire can cost your firm millions in lost sales, lost time to market and lost morale. So asking what are the best search firms is a good place to start. In the interest of objectivity and putting a little good karma out there, below is the listing of some of the other New York City Area executive search firms that conduct senior executive search in the tri-state region of New York, Connecticut, and New Jersey. While everyone has their favorites, these firms have solid histories of providing retained executive search in and around Manhattan. What qualities do you seek in the executive search firms that you use? What qualities distinguish those that you consider to be among the best? We welcome your thoughts and comments . . .